In the seventeenth century Deane, or Dean Field, was a large field in the north of Preston Plucknett, to the north of Preston Road and west of Larkhill Lane. A deed of 1620 makes reference to ".... 1a 3yds lying under Deane.... within the lymites of Yeavell and Preston Plucknett". Deane lay along the eastern side of the now long-gone field access track running north from Preston Road with Dodham Brook to its east. 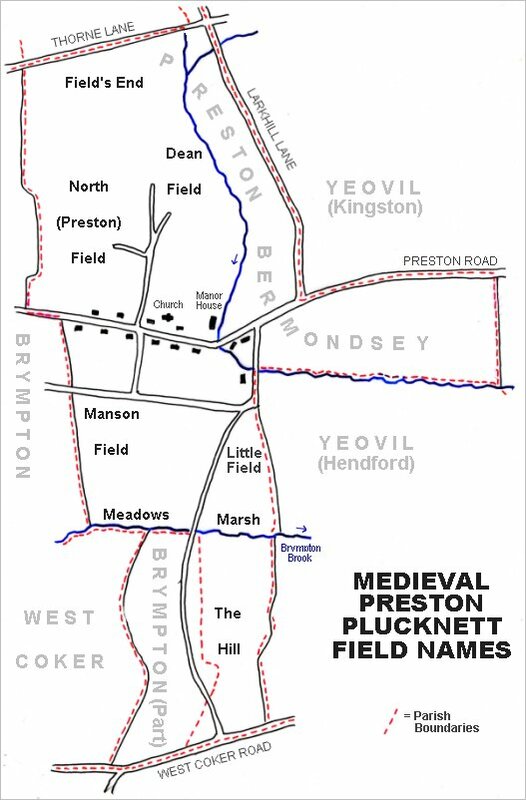 By the time of the 1846 Preston Tithe Map, Deane had been divided into four fields; Broad Dean, Field Dean, Grass Dean and Arable Dean. 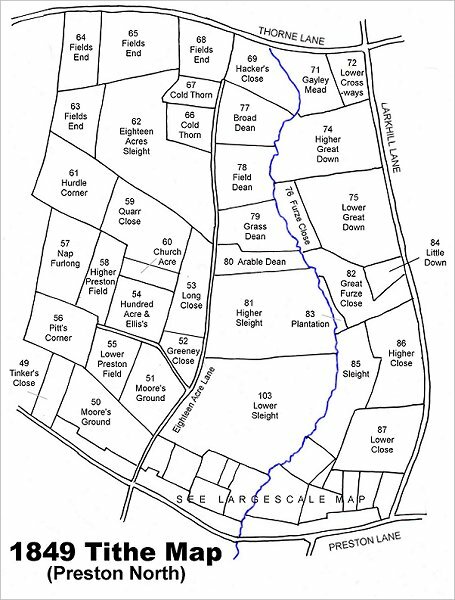 The sub-fields of Deane disappeared when Abbey Manor was built in the 1980s and the site is now occupied by housing on the eastern side of Stourton Way from Poplar Drive at the northern end, through Elmleigh and Acer Drive to West Brook in the south. Map based on the 1849 Tithe Map showing the former Deane split into four smaller fields Broad Dean (77), Field Dean (78), Grass Dean (79) and Arable Dean (80) at centre, lying between the field access track, Eighteen Acre Lane (now a footpath), running up the centre of the map and Dodham Brook to its east. 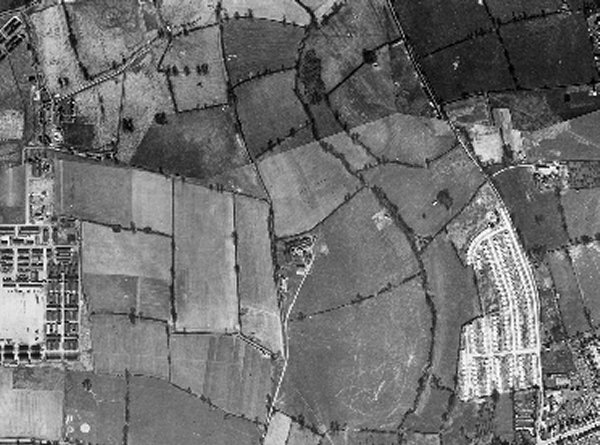 This is a 1946 aerial photograph showing the three fields (originally four) Broad Dean at top centre, Field Mead and the (by this time) combined Grass Mead and Arable Mead immediately north of the new farm at centre. At lower left of the photograph is Houndstone army camp and at lower right is the post-war Larkhill Lane pre-fabricated housing estate. At centre is seen the Preston Plucknett Flax Works.